The Kite Runner takes place in Afghanistan, 1970s. Two boys -- Amir, a Sunni, and Hassan, a Shi'a -- grew up together. In Afghanistan, Shi'a were the lower status of the Muslim religion, and nothing would ever change that. Nonetheless, Amir and Hassan were best of friends. Hassan and his father lived with and served Amir and his father. Hassan's mother ran away after his birth, and Amir's mother died during childbirth. Amir's father was wealthy and important in the community, and he cared for Hassan as his own son. Unfortunately, Amir had an easy life; he walked away from conflict or responsibility and never stood up for himself or anyone else. He was sometimes arrogant toward Hassan. Yet, Hassan, the servant, was quick to defend Amir and was handy with his slingshot. Besides being courageous, he was submissive, loyal, and full of humility. Hassan was the best kite runner in the city, and the day Amir won the kite fighting championship, Hassan ran off to capture the opponent's kite for Amir. When he did not return, Amir searched for him and witnessed a horrible crime being perpetrated against his friend; but, Amir never intervened, nor did he get help. Hassan remained silent about it, too. The guilt weighed heavy on Amir. He asked his father to replace their servants and even falsely charged Hassan with theft; but Amir's father forgave Hassan (who meekly admitted to the crime) and would not send him away. Nonetheless, Hassan and his father voluntarily moved out, humiliated. Shortly after, Russia invaded Afghanistan, and Amir fled with his father to America, leaving their home in the care of a family friend, Rahim, until they should be able to return again. Years passed, and Amir and his father had well established themselves in America; Amir graduated college and married an Afghani girl. After Amir's father passed away, he received a call from Rahim asking him to meet him in Pakistan immediately. The news he had to share would change Amir's life forever. At this point, I must stop or I shall reveal the most essential parts of the story. If you decide to read The Kite Runner, know that at times it is shocking, horrifying, and heart breaking. You wonder if Amir will ever do what is right. Why does he continue to run away from the truth? And then you ponder what you would do if you were in his place? You cannot blame him for being angry or afraid, but sometimes people need to rise above their own feelings and do what is best for someone else. 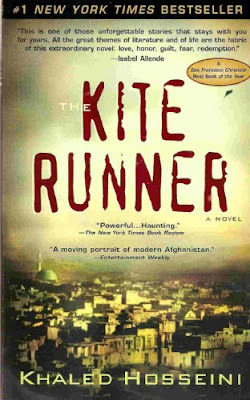 The ending of The Kite Runner left me feeling satisfied and hopeful, but I had a disappointment, too. Amir wanted to do something to relieve the burden of guilt from his unjust treatment toward Hassan. In an attempt to redeem himself, he promised to follow a long list of religious requirements in order to make up for his sins and appease God. I know this is not a real act of redemption, nor is it the way to forgiveness. Making the right choices are always warranted and acceptable, regardless of past sins; we are always called to do what is right. In addition to that, I did not like the blasphemy or using Jesus' name in vain. I did watch the movie after I finished the book, and the movie is of course different in good ways because it omitted unnecessary graphic scenes and other complications; but the book is best because it addressed the heavy topics pertinent to the story, which the movie is unable to include for time's sake. Some people complained that the characters were unreal, but given the circumstances of the place and time of the story, I found them, such as the villains, very believable. 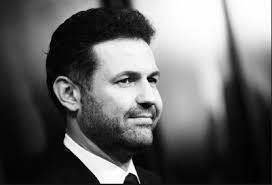 Overall, I did like the story, and I do plan to read Khaled Hosseini's third novel, And the Mountains Echoed, and see what that's about. Yes, it was really emotional. Little Hassan was so sweet and good, almost perfect. The movie was acceptable, but you are right; it wasn't equal. It is worth the read. I also enjoyed A Thousand Splendid Suns even more.